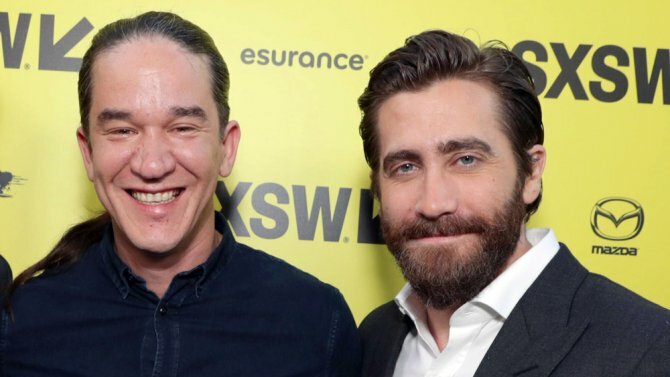 Life is only now launching into theaters and already, creative duo Jake Gyllenhaal and Daniel Espinosa are beginning to formulate their next project. The Hollywood Reporter has the scoop, revealing that Gyllenhaal and Espinosa have signed on to star in and direct The Anarchists Vs. ISIS, a big-screen adaptation of the eponymous Rolling Stone article by Seth Harp. Gyllenhaal is also attached to produce via his production company Nine Stories. First published last month, Harp’s long-form piece chronicles the real-life story of a group of American volunteers, socialists and outcasts who join forces with the Kurdish militia, the People’s Protection Units (AKA the YPG), to fight ISIS in Syria. Their mission? To establish an anarchist collective in the war-torn region. It’s compelling, timely stuff, and a marked step up for Daniel Espinosa, who has so far dabbled in relatively palatable genre material in the vein of Safe House, Child 44, and the sci-fi thriller Life. In a statement, Nine Stories producer Riva Marker heaped praise on the material at hand, claiming that Seth Harp’s true-life tale will be able to resonate with audiences the world over. No word yet on when we can expect The Anarchists Vs. ISIS to be ushered in front of the cameras, but we’ll keep you right up-to-date as this story develops. Gyllenhaal, meanwhile, is currently headlining the aforementioned Life, and will soon make the journey to post-pandemic New York City for Ubisoft’s live-action take on The Division. Jessica Chastain and director Stephen Gaghan are also on board for that one.